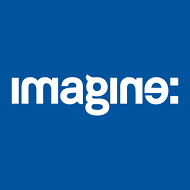 Just a few days to go before the team heads to Amsterdam for screenings at Imagine: 2015! Director/Producer duo Konstantinos Koutsoliotas and Elizabeth E. Schuch will be in attendance at the screenings. Pursued by debt collectors, failed Greek writer Niko flees his temporary London homebase around Christmas time. He returns to the village where his father spent his last years alone. In the ruins of his father’s house, childhood memories arise. As does the question of how Niko’s father died. An old neighbour and the local priest urge Niko to leave as soon as possible: there’s something odd about that house. Are they right, and are dark forces gradually starting to cloud Niko’s view on reality? What the festival says: Smoothly alternating between psychological drama, tragicomedy, horror and fairy-tale, first-time director Koutsoliotas takes his time leading us into Niko’s world and mind. He uses animation for this, but also simple, often old school special effects. Remarkable for someone who worked on the visual effects teams of 300 and Guardians of the Galaxy. It is, however, a simplicity that perfectly complements Niko’s intimate story, leading the viewer through a thematically labyrinthine hall of mirrors. Enjoying the journey is more important than finding the exit.